Flora Tasting Room was totally decked out for Halloween. It did not matter that it was 91 degrees in Napa Valley. It has been the last days of summer in fall when my girls and I went on our yearly girls wine tasting trip. It is officially fall but the days are beautiful and summer-like. These warm early fall days are typical in California until the weather turns cold and crisp. I will post about our delicious tasting here on my next entry. 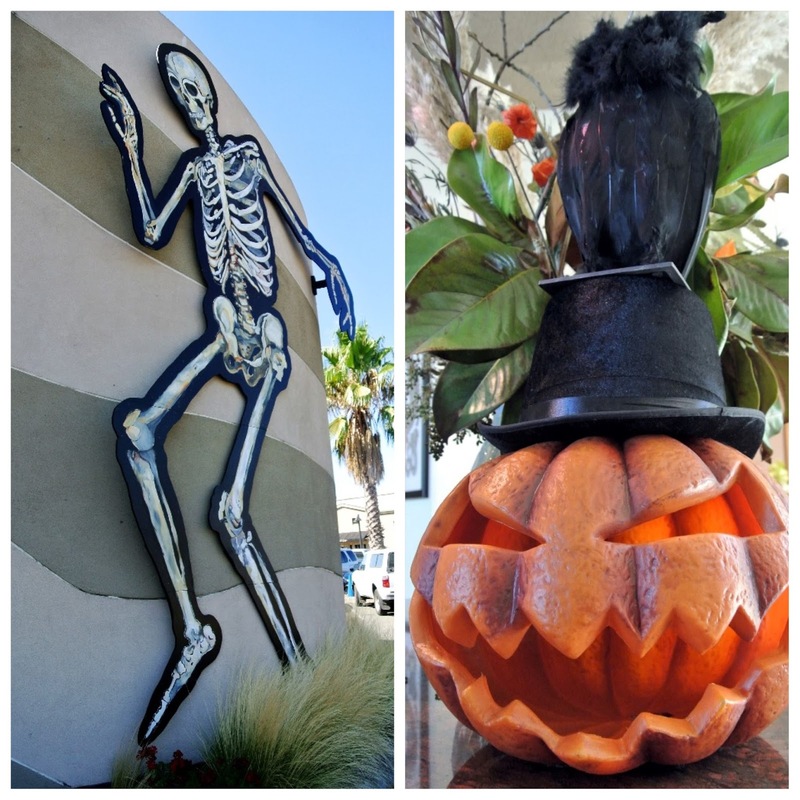 I just want to post the photos of the exterior of this tasting room because it is -- fall and Halloween! My girls and I had a great time at the sunny patio drinking a really lovely Sauvignon Blanc. I have to tell the girls that we need to visit the Old Ghost Flora Springs Estate on our next trip! Oh, so Halloween!